How old you are when you first begin taking benefits. Your full retirement age depends on the year in which you were born (see table below). Your primary insurance amount is the amount of retirement benefits you would receive per month if you started taking them at your full retirement age. As we’ll discuss shortly, your PIA is determined by your earnings history. Your primary insurance amount is based on your historical earnings. Specifically, it’s based on your “average indexed monthly earnings” (AIME). Calculating your AIME is a five-step process. Make a year-by-year list of your earnings, excluding any earnings for each year that were in excess of the maximum amount subject to Social Security tax. Adjust your earnings from prior years to today’s dollars. Select your 35 highest-earning years. Add up the total amount of earnings in those 35 years. Divide by 420 (the number of months in 35 years). You do not actually have to do this calculation yourself. The Social Security Administration does it for you. It is, however, important to understand the concept, so that you can understand how your benefit is calculated. 15% of any AIME above $5,397. Note that these figures change to account for wage inflation each year. So, for example, for somebody turning age 62 in 2019, each of these dollar amounts will probably be slightly higher. 15% of average annual wage-inflation-adjusted earnings from $64,764 to $119,232. If you have fewer than 35 years in which you earned income subject to Social Security taxes, the calculation of your average indexed monthly earnings will include zeros. For example, if you worked for 31 years, your AIME calculation would include those 31 years of earnings, as well as 4 years of zeros. As a result, working additional years would result in those zero-earnings years being knocked out of the calculation and replaced with your current earnings. The result isn’t going to make you rich, but it’s worth including in your list of considerations when deciding when to retire. If you wait until after full retirement age to claim your retirement benefit, the amount you receive will be greater than your primary insurance amount. The increase is 2/3 of 1% for each month you wait beyond full retirement age (up to age 70, beyond which there is no increase for waiting). This works out to an increase of 8% per year. 2/3 of 1% x 48 months x $2,000. If you claim your retirement benefit prior to full retirement age, it will be reduced from your primary insurance amount by 5/9 of 1% for each month (up to 36 months) prior to full retirement age. This works out to a reduction of 6.67% per year. For each month in excess of 36 months, the reduction is 5/12 of 1% (or 5% per year). 5/9 of 1% x 24 months x $2,000. 5/12 of 1% x 12 months x $2,000. Every year after you reach age 62, your primary insurance amount is adjusted to keep up with inflation as measured by the Consumer Price Index for Urban Wage Earners and Clerical Workers (CPI-W). When your PIA is adjusted upward for inflation, it increases not only your retirement benefit, but also any other benefits that are based on your PIA (e.g., your spouse’s spousal benefits). Your “primary insurance amount” (PIA) is the monthly retirement benefit you would receive if you claimed benefits at “full retirement age” (FRA). Your primary insurance amount is calculated based on your 35 highest-earning years (after adjusting prior years’ earnings for wage inflation). If you claim retirement benefits prior to your full retirement age, you will receive an amount smaller than your PIA. If you wait until after your full retirement age to claim benefits, your retirement benefit will be greater than your PIA. 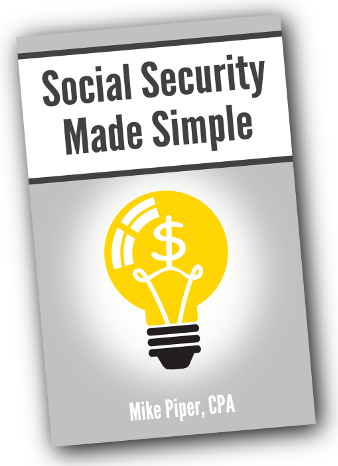 Social Security benefits are adjusted on an annual basis to keep up with inflation (as measured by the CPI-W).